Bella is proud to bring you this important and touching book from our sister publisher – Beanpole Books. A child’s bond with a beloved animal is a powerful one. The loss of a pet due to illness or trauma can be a troubling time in a child’s life. 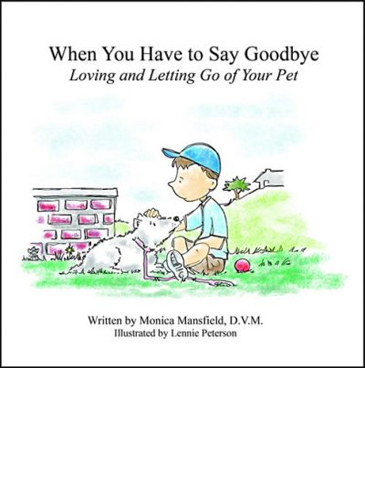 When You Have to Say Goodbye: Loving and Letting Go of Your Pet gently describes the why’s surrounding end-of-life issues with animals and details valuable ways for children to move through this experience in a positive fashion. 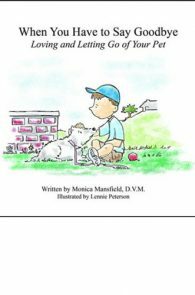 Written by veterinarian Dr. Monica Mansfield, the book’s compassionate wording is brought to life by the poignant yet charming artwork of Lennie Peterson. The loving bonds between children, their animals, and family are illustrated throughout. While written with young family members in mind, this book is certain to touch the heart of adults as well.